It's 01:01 in Grangeville, USA right now. Whitebird Hill - US-95, M.P. 231.5 A view of the current traffic situation. Cottonwood, Idaho: Frei Hill US-95, M.P. 259.2, 13.8 miles away. Kamiah, Idaho: US-12, M.P. 64.7, 21.2 miles away. Winchester, Idaho: US-95, M.P. 279.5, 32.3 miles away. Elk City, Idaho: SH-14, M.P. 49.5, 33.6 miles away. Genesee, Idaho: Lewiston Hill US-95, M.P. 318, 57.6 miles away. 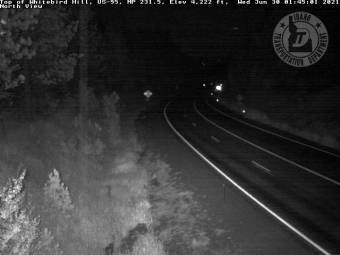 Genesee, Idaho: Shirrod Hill US-95, M.P. 324.5, 57.6 miles away. Deary, Idaho: SH-3, M.P. 26.5, 63.7 miles away. Joseph, Oregon: Joseph Oregon Weather, 66.6 miles away.